of matches. The series became so popular that the Matchbox name was once widely used by the public as a genericized term for all die-cast toy cars measuring about 2 1/2-inches in length, regardless of brand. 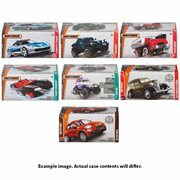 In the 1970s, Matchbox switched to the more conventional plastic and cardboard "blister packs" used for other die-cast cars, but the box-style packaging was reintroduced for the collector market in the recent years. 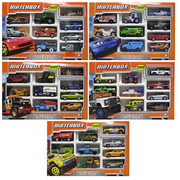 Matchbox is a die-cast toy brand owned by Mattel, Inc. Matchbox toys were so named because the original models were packed in boxes similar in size and style to boxes of matches. 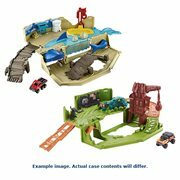 The series became so popular that the Matchbox name was once widely used by the public as a genericized term for all die-cast toy cars measuring about 2 1/2-inches in length, regardless of brand. 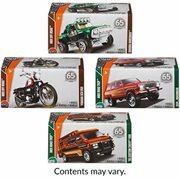 In the 1970s, Matchbox switched to the more conventional plastic and cardboard "blister packs" used for other die-cast cars, but the box-style packaging was reintroduced for the collector market in the recent years. 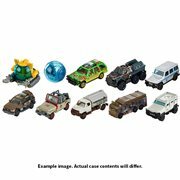 This article uses material from the Wikipedia article "Matchbox (toy)" and is licensed under the GNU Free Documentation License.